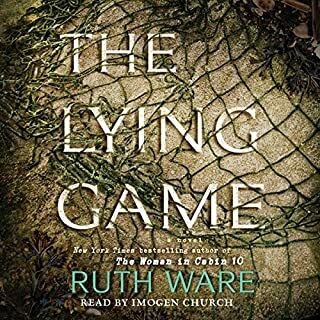 When the minute came I pressed play to hear the words written by Ruth Ware strem out like spun gold from the lips of Imogen Church. 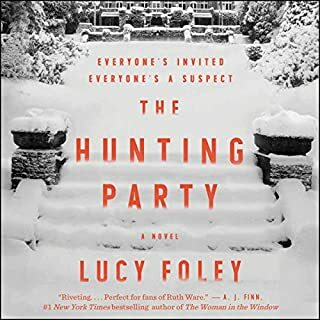 I highly recommend this audiobook to thriller & mystery lovers alike as it was full of twist and turns that keep me up listening eagerly. Hal the main character is about to be as surprised as the reader was at the end of this highly anticipated novel. Good gravy what a slog! My kingdom for an editor! With a few hundred slashes of an editor’s red pen, it could have been a decent enough mystery. Cut out half of the narrator’s extensive analysis, and, though it still wouldn’t be great, it would be good enough for a light read. As it is, I can only guess that the author assumes her audience to be a bunch of idiots, and that her publishing house is inclined to agree. The story drags with torturously prolonged justifications for the protagonist’s logic and choices. Not a glimmer of information is spared from the microscopic gaze of our extraordinarily thorough heroine. Did you catch the significance of the odd look that man gave her? No? Well don’t worry, you’ll be hearing about it at great length soon. What could be the ramifications of the decision she just made? Just wait a few seconds and you’ll hear about every conceivable possibility. The author leaves no room for a reader to interpret anything, each morsel of information is so thoroughly digested by the narrator that the whole book ends up as, well... digested material. By the last third of the book, I was skipping through 30 seconds of exposition for every two minutes of narrative with no loss of pertinent information. I’ll just skip the rest of this author’s works altogether. I found it to be a slow burner. I gave it 4 stars but that is rounded up from 3.5. I liked it, it kept me interested but I listened to it and found it a little confusing when you were trying to get the details. I was just reading the questions that others have asked and had many of the same questions. There are quite a few characters and having 2 with the same name made it a little hard to keep straight. You really had to pay attention. The disadvantage of listening compared to reading, in my opinion. I found it to be a slow burner and wouldn't consider it to be a thriller. But enjoyable all the same. 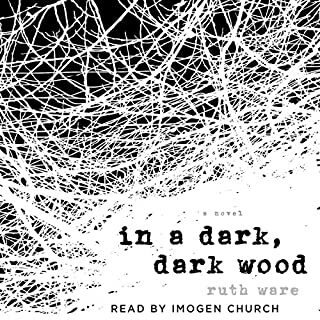 The first Ruth Ware book I read ('In a Dark, Dark Wood') was PHENOMENAL. Lots of twists. Lots of confusion. Plus the end truly shocked me. I am an unabashed bibliophile so I immediately devouring everything else she'd published....leading to the realization that she has a somewhat predictable pattern to her work. The stories begin and pull you in and there's twist and turns and then an end...that is rather flat. You may be surprised by the way its conveyed, but you will probably see it coming from way off. That being said, I still enjoy her books. In fact, I got this book the minute it was available and was excited to read it. I love all the imagery, I love the vivid pictures of the UK her books create in my imagination, and I ADORE Imogen Church's narration. In every book she manages to convey all the characters, accents, genders, ages perfectly. Even if I can feel where the book is heading I am addicted to finishing it, waiting to see how the story plays out. Its what I expect from a Ruth Ware book. 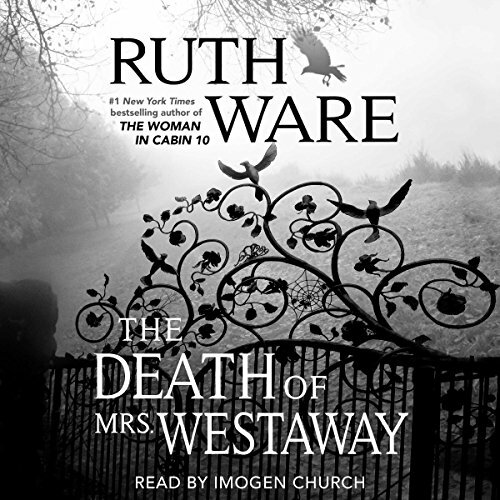 In that sense, 'The Death of Mrs. Westaway' doesn't disappoint. The story is full of twists and the characters are brilliantly portrayed. However, I saw where it was going by the middle and I was 100% right. I did like the protagonist though. she wasn't whiny and had a strong voice. I finished it in 5 days. Considering how little time I have to listen to the book, that speaks a great deal to how addictive it was. If you look at the reviews from some of the other books she's written my review isn't a strange one. 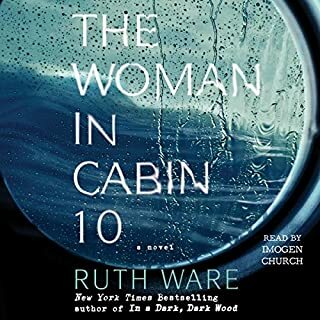 Ruth Ware writes really great thrillers that you love about 95% of. It's the last 5% that always seems to need a bit more work, but it's worth a read anyway. This was a really good story with interesting twists that I didn't see coming and by the end, I was riveted. But what I think made this book so incredibly great was the narration by Imogene Church. Not only does she have a beautiful voice but her acting ability really brings the characters and the story to life. It was beautifully written and gripping all the way through. The performance was perfect. I highly recommend! Such amazing story development - great characters! Imogen Church is simply brilliant - I wish she narrated every book! 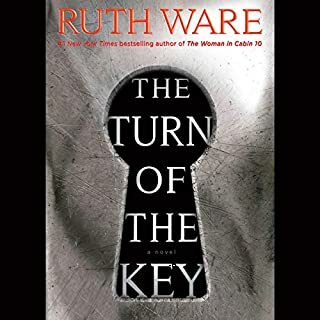 Ruth Ware is back!!! I wanted to listen to this straight through but it is very long. 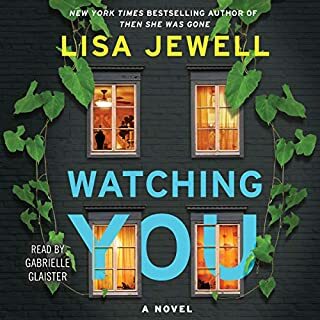 I really enjoyed the narrator (thought she was terrific) and the story. It had the chill of "Rebecca", but did seem to be quite repetitive which I found unnecessary. Redundant to the point of making me want to scream. Could have been good if the writer didn’t repeat herself over and over again. I only listen to the end because of the narrator and the fact that I used a credit for this mess. This. book is way too long, and wordy, and repetitive, and predictable. I listened with speed on fastest setting to get to the end. Waste of time.